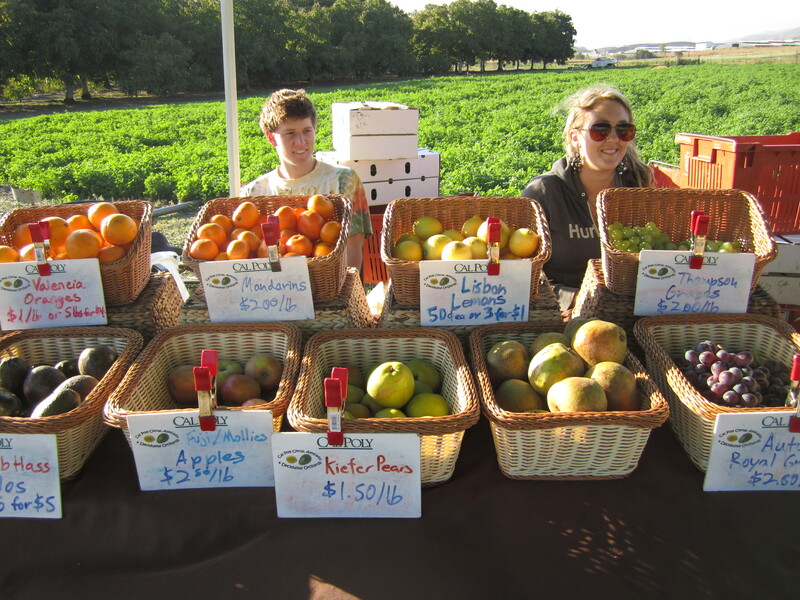 Agriculture is the leading industry in California, contributing over $500 billion annually to the state. 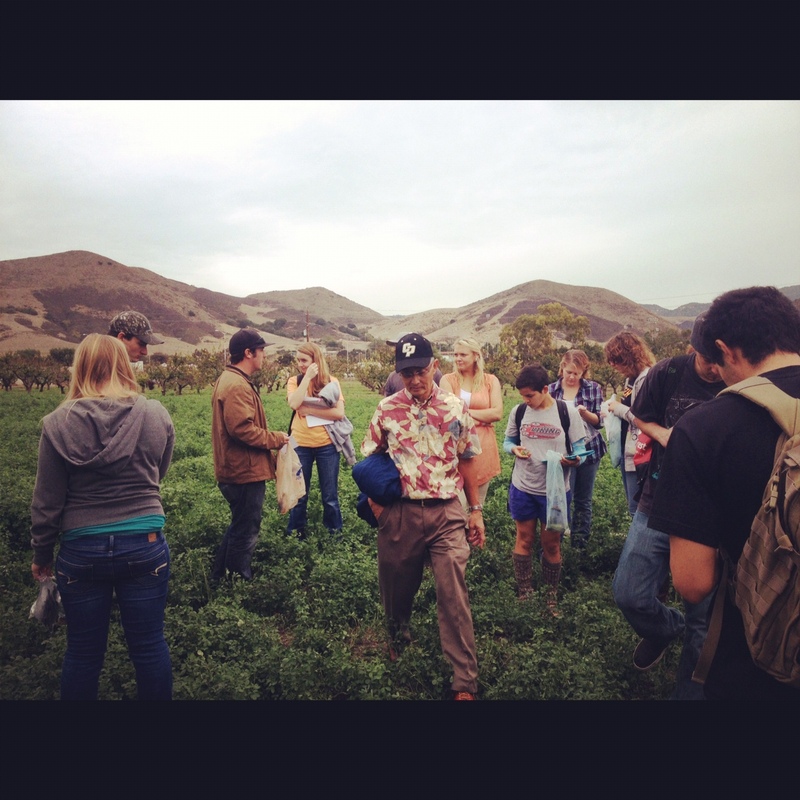 Among universities that grant undergraduate degrees, the College of Agriculture, Food and Environmental Sciences at Cal Poly SLO is the fourth largest undergraduate agriculture program in the nation, with more than 3,500 students. It is the largest non land-grant agricultural program in the United States. The College awards an average of 650 baccalaureate degrees each year, nearly half of all baccalaureate agriculture degrees granted in California. 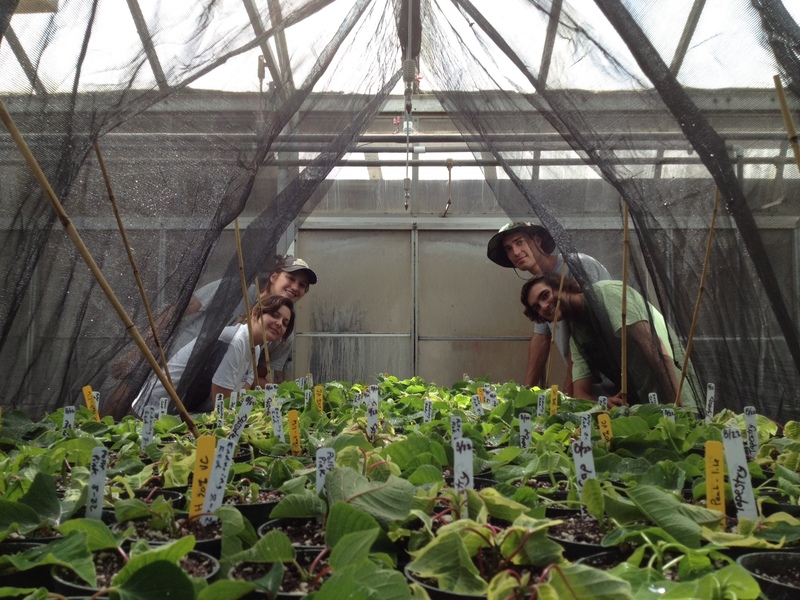 The Department of Horticulture and Crop Science now serves over 300 students annually. 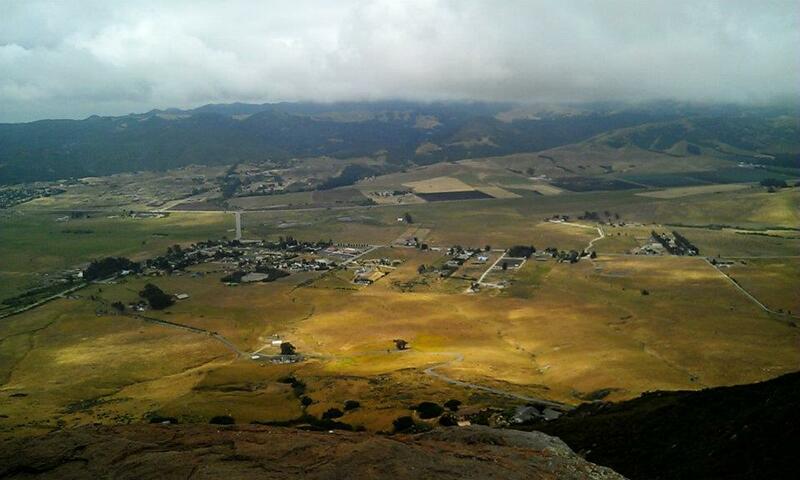 Students at Cal Poly SLO come from all over California, with the majority hailing from the Central Coast and Central Valley, followed by the San Francisco Bay and Los Angeles areas. Only seven percent of students attend from outside California. The future of the agricultural industry rests with the education of Cal Poly SLO’s highly capable students who will provide leadership to one of the world’s most important industries. The challenge is enormous: produce more food for exponentially greater numbers of people on less land with a finite amount of natural resources and do it in an environmentally sensitive manner. Food, water, land, and air are our primary resources, and to use them wisely, we need trained, motivated students eager to tackle these critical issues with energy and intelligence. 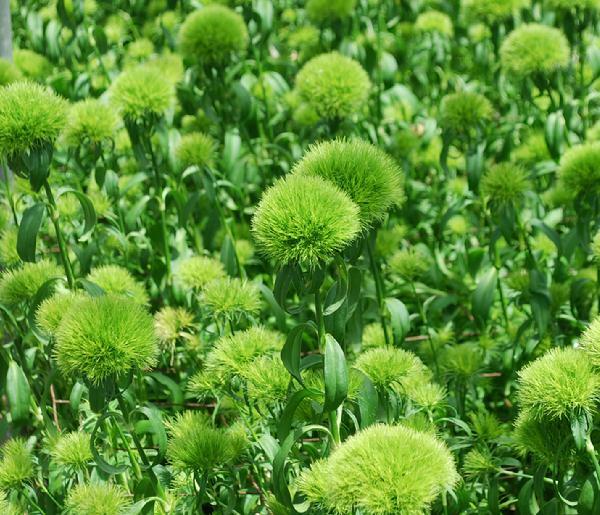 In addition, the enhancement and management of our personal and community environments with plants is an important issue that helps assure us healthful lives and better quality of living and keeps us in harmony with the natural world around us. The University’s learn-by-doing, hands-on philosophy is reflected in the laboratory-intensive curriculum, focus on undergraduate research, importance of cooperative work experience, and the requirement of a senior project that is applied in nature. 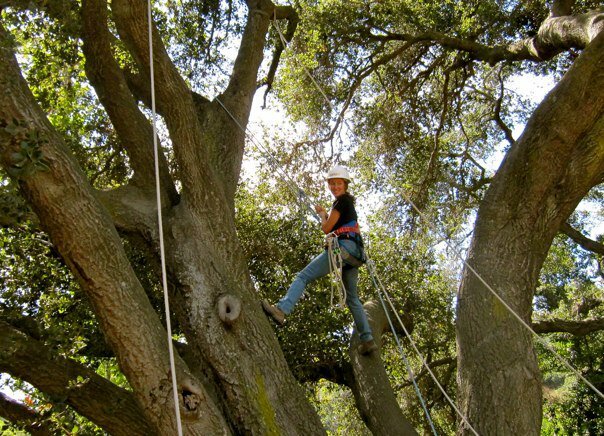 Cal Poly SLO is an institution that prides itself on keeping students current with industry trends. 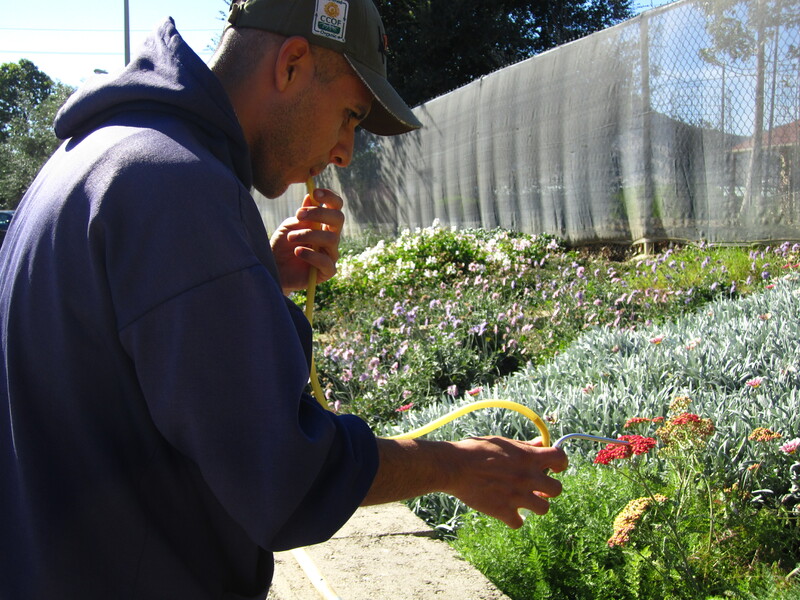 Horticulture and Crop Science at Cal Poly SLO have a rich tradition dating to the University’s founding in 1901. 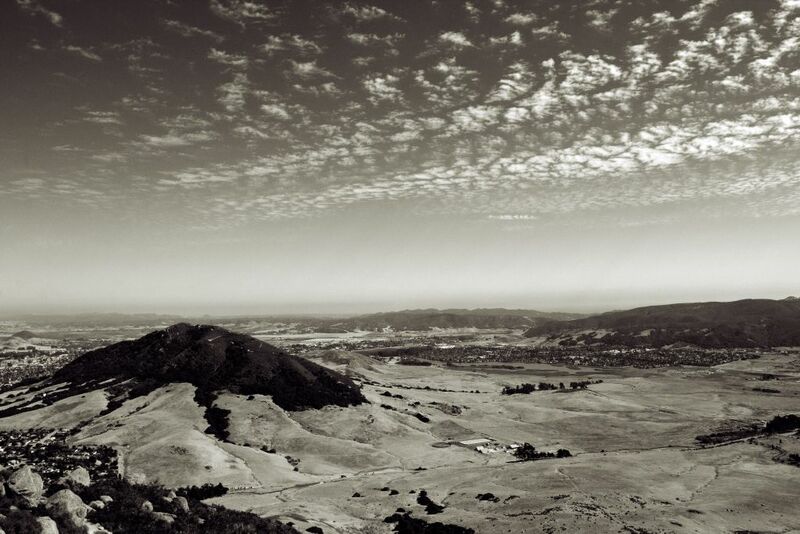 In 1901, visitors to San Luis Obispo saw a ranching and farming community of just over 3,000 people. 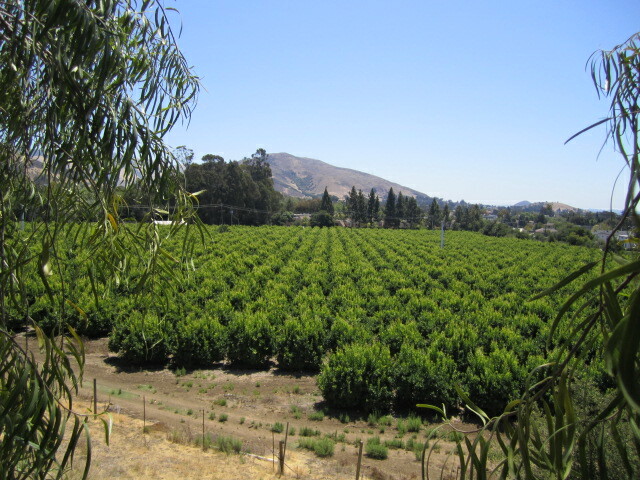 What is now the Cal Poly SLO campus was farmland some distance north of the town, a place where the trustees charged with finding land for the campus were impressed by the oranges picked from the groves of the Dawson Lowe Ranch. 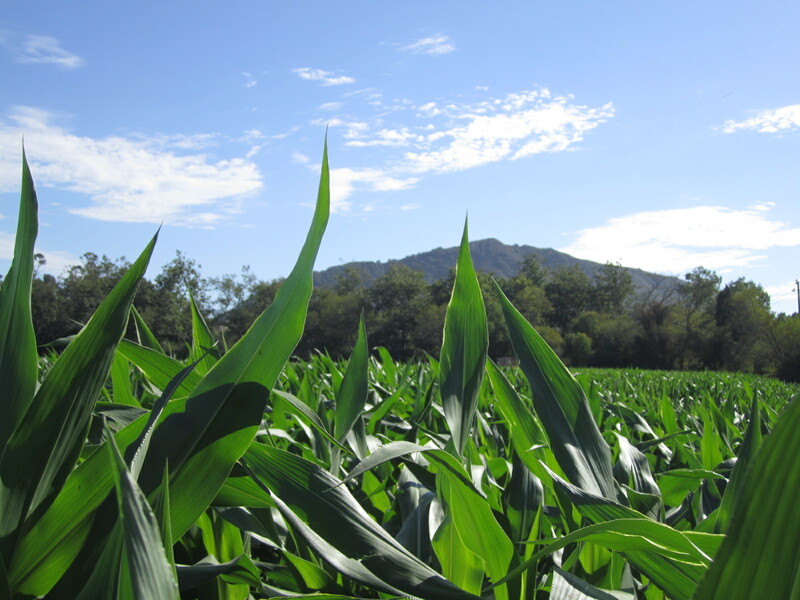 From the University’s earliest days, agriculture in the fertile area was a primary emphasis–even in areas where the soil was “inferior”. Trustees saw this as a perfect learning opportunity for students. 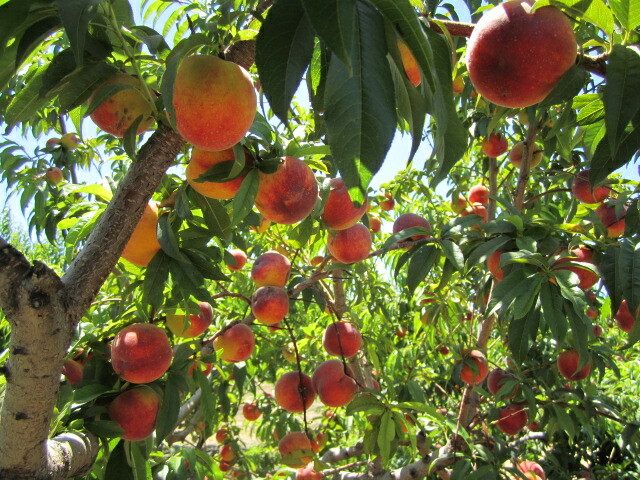 As the campus grew in acreage, extensive dryland crops, vegetable fields, vineyards, and orchards were added to the site. The departments evolved with the decades, feeling the pinch of the Great Depression and the extraordinary influx of students as a result of the GI Bill. Before World War II, horticulture facilities included a lab for plant propagation, tool storage for horticulture and grounds departments, housing for two students, a redwood lath house, and a 1,200 square foot glasshouse. The Crops Department had 390 acres under cultivation and an assortment of storage facilities. Only after World War II, was an Ag Building constructed, housing classrooms, offices, and labs. 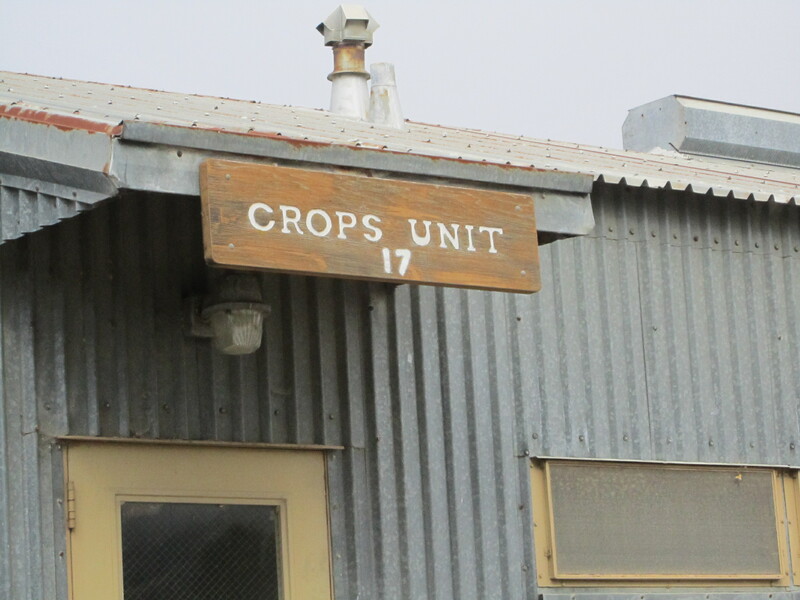 In 1962, the Crops field house (Building 17) was erected and land under cultivation soon increased to 719 acres. The subsequent decade witnessed a building boom on campus. 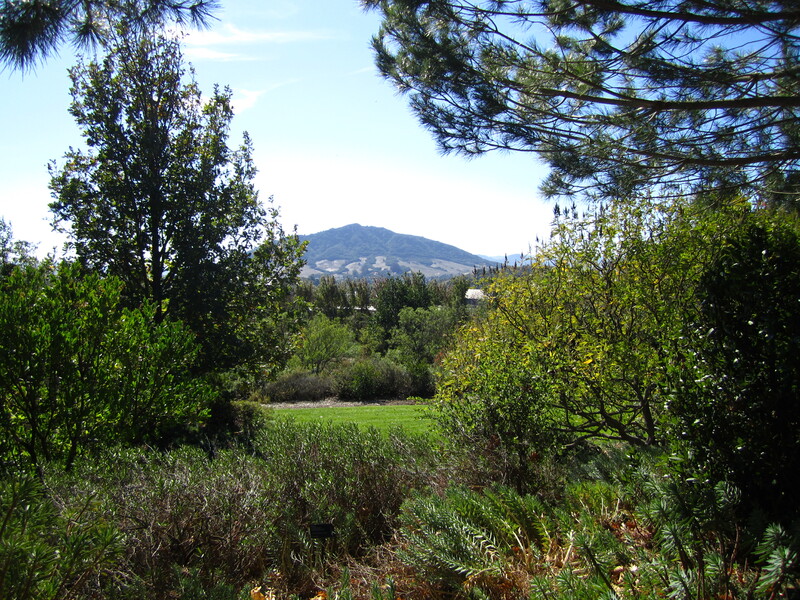 Conceived in the 1960’s, the Leaning Pine Arboretum developed over time into a lush, five-acre showcase for native and mediterranean climate plants. The 1970’s saw an increase of 13,000 square feet of greenhouse space for Ornamental Horticulture and Crops and some new facilities. New classroom and office space was added in 1986, with the construction of the Agriculture Sciences Building (Building 11). 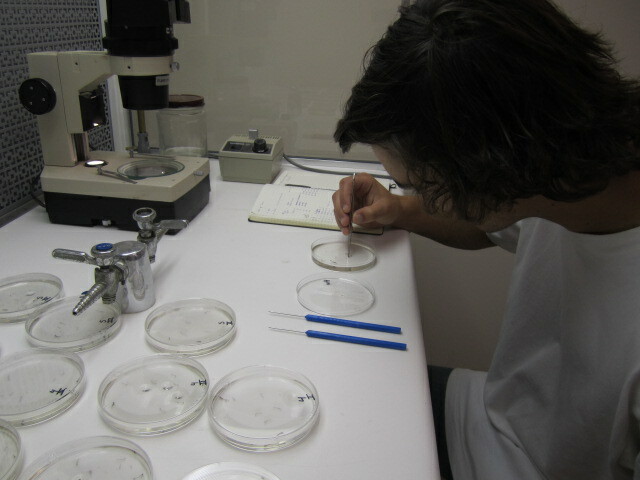 The Crops Department was able to add two new labs to their site in the 1990’s to replace the labs lost in prior renovations and construction. 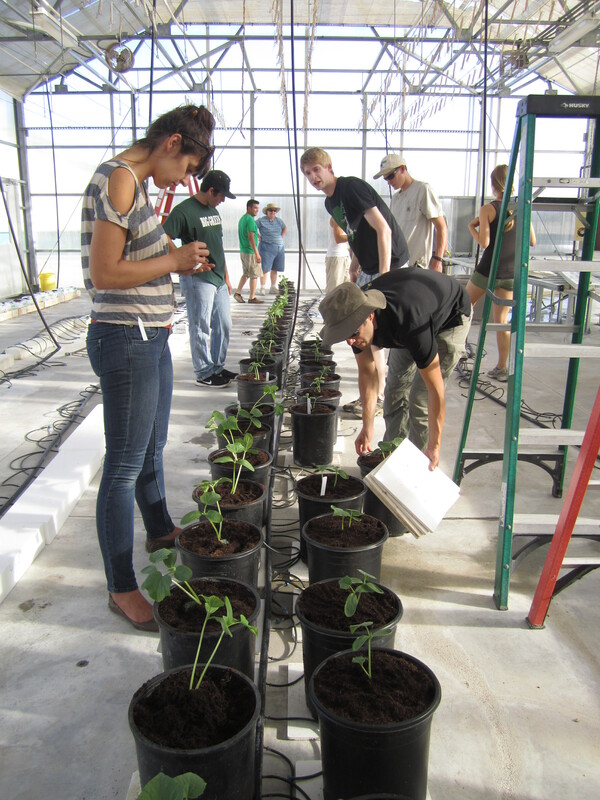 In 2002, Environmental Horticultural Science (formerly Ornamental Horticulture) and Crop Science merged to strengthen student education across the curriculum and better prepare students to enter the Plant Agriculture Industry. But in recent years, facilities for both departments (most of which date from the late 1960’s and early 1970’s) have fallen short of the kind which today’s students expect and today’s industry requires. In response, the Horticulture and Crop Science Department (HCS) has developed a master plan for comprehensive modernization of the Horticulture and Crop Units: the Sustainable Horticulture and Crop Science Complex. The current 20th century facilities will be revitalized to accommodate new technology and the needs of the 21st century. Already, we can see that this century of agriculture is driven by the need to feed and clothe a growing world population using methods that ensure the continued productivity of our farmland. In these new facilities students will experience modern harvesting, post-production care and handling, marketing, and retail. The renovations will allow for meaningful collaborations with industry, preparing agricultural graduates to provide immediate value in the workplace, and renew both the Horticulture and Crop Sciences’ curriculum and faculty. 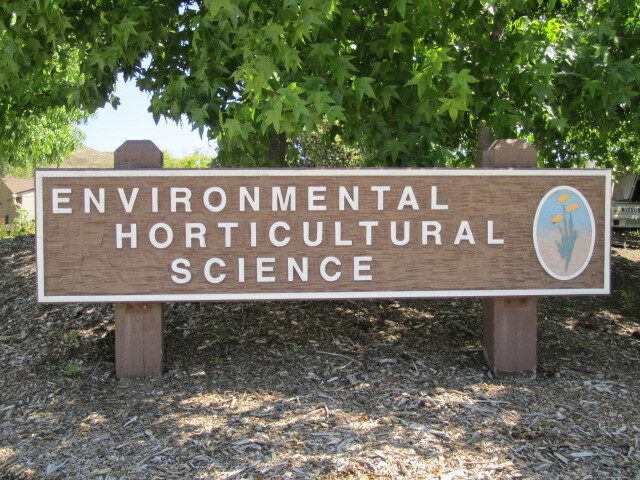 Perhaps nowhere else in the world are the educational opportunities are greater for students to see, experience, and learn about the production, handling, utilization, and marketing of ornamental and food plants than in Central California’s Coast and Valley. 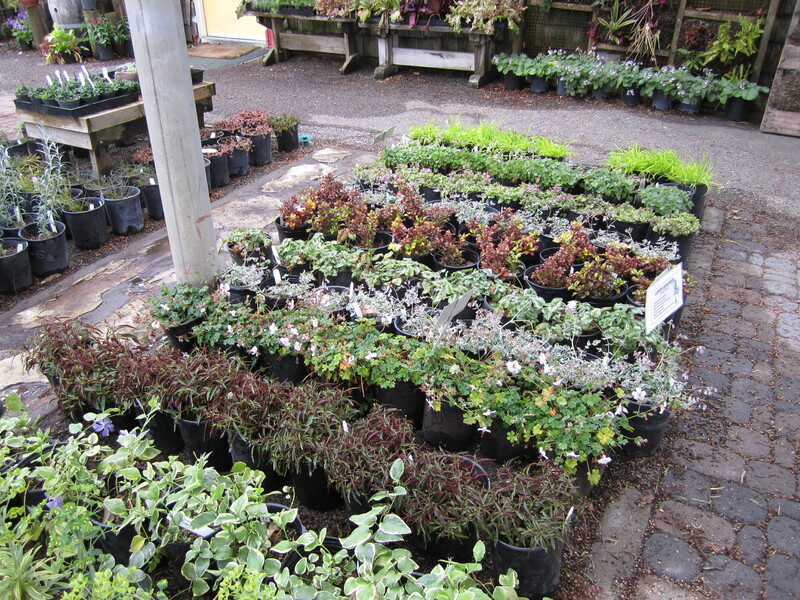 On the coast, the mediterranean climate and superb growing conditions provide an extraordinary spectrum of ornamental and food plants. Nearby in the Central Valley, agricultural production is California’s breadbasket. 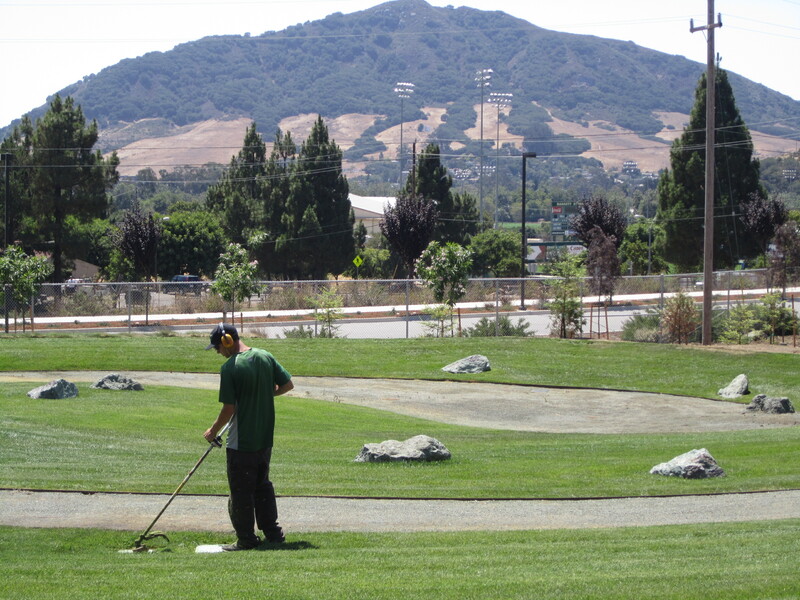 California is also home to some of the largest nurseries, greenhouse operations, and landscape maintenance companies in the United States and ranks second among states in the number of golf courses. 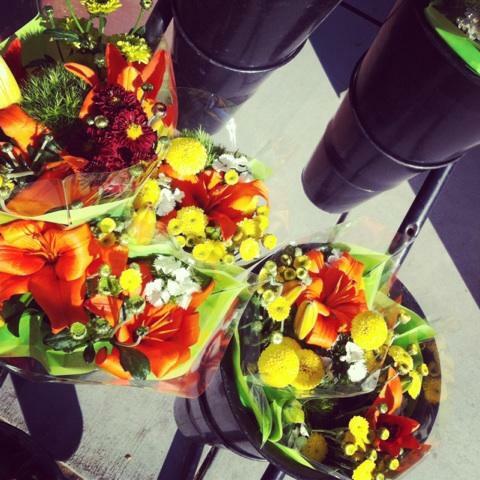 California’s horticulture industry is a multibillion dollar business and Cal Poly SLO graduates are in demand by the industry. 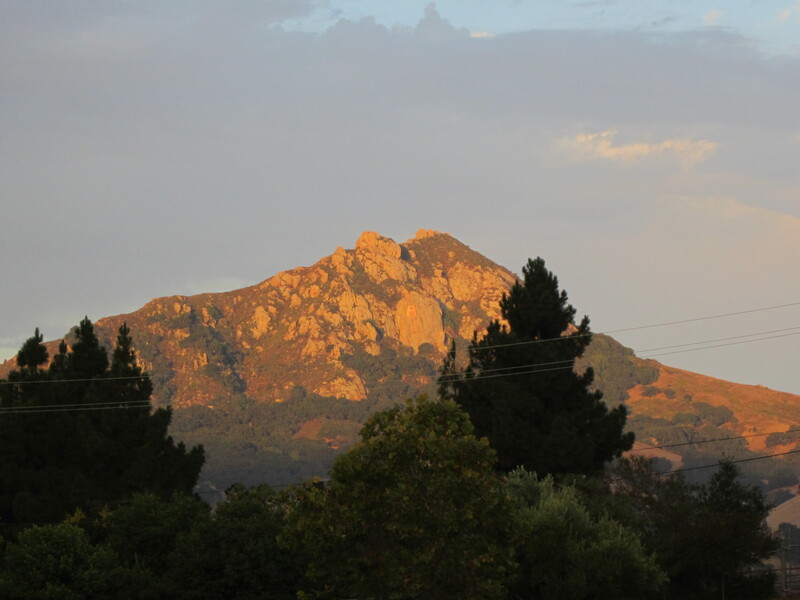 Driving north on Highway 1 from the coast, the morros of San Luis Obispo rise from the east as you enter the valley, with Bishop’s Peak dominating the west. The entrance to the university on Santa Rosa is the first impression visitors traveling along Highway 1 have of California Polytechnic State University. Flanked by avocado and citrus groves on the south, and Radio Tower Hill to the north, it is also the first impression of the Horticulture and Crop Science Department. It is an ideal location to showcase Horticulture and Crop Science; planting terraces of water-wise native mediterranean plants on the northern slope, opening up the views to the orchards on the south, and creating immediate opportunities for learning with signage along the walkway leading into the interior of campus. Continuing along Highland Drive, now lined with Italian Cypresses, the groves and buildings of Crops Science are the first teaching facilities visitors encounter. 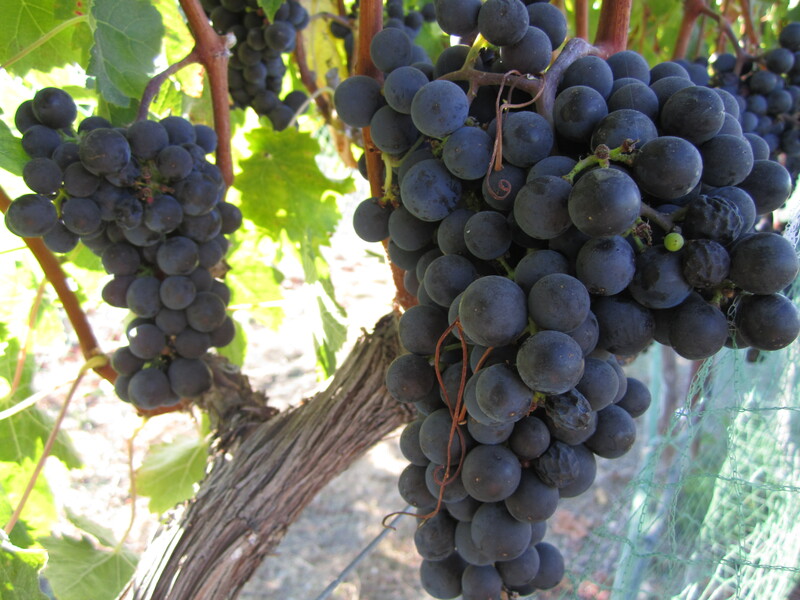 The Crops Unit has 70 acres of productive citrus, avocados, grapes, deciduous orchards, and berries. Now the site is a series of labs and ramshackle structures, but we envision a Farmer’s Market outfitted in the old Crops Field House, moving the Organic Farm to this prime location, as well as a new winery, dormatory for a select few students, and upgraded teaching and office space. The relocated Organic Farm and new Winery will create innovative educational opportunities and programs that reflect the significance of these components in the crops industry. 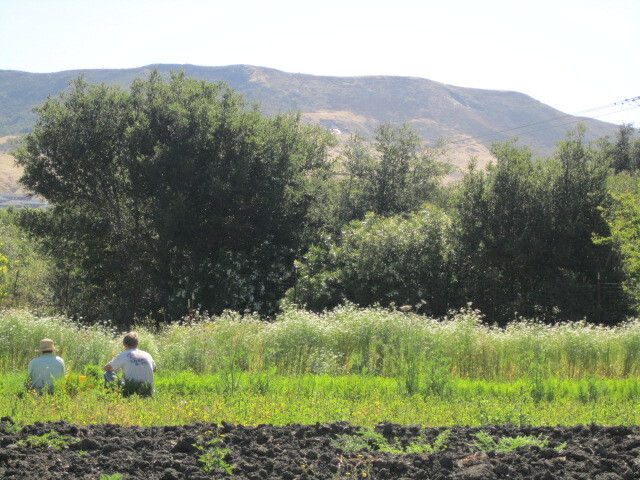 Largely student managed, the current eleven acre Organic Farm is home to a variety of programs, including Cal Poly SLO’s annual CSA subscription program. 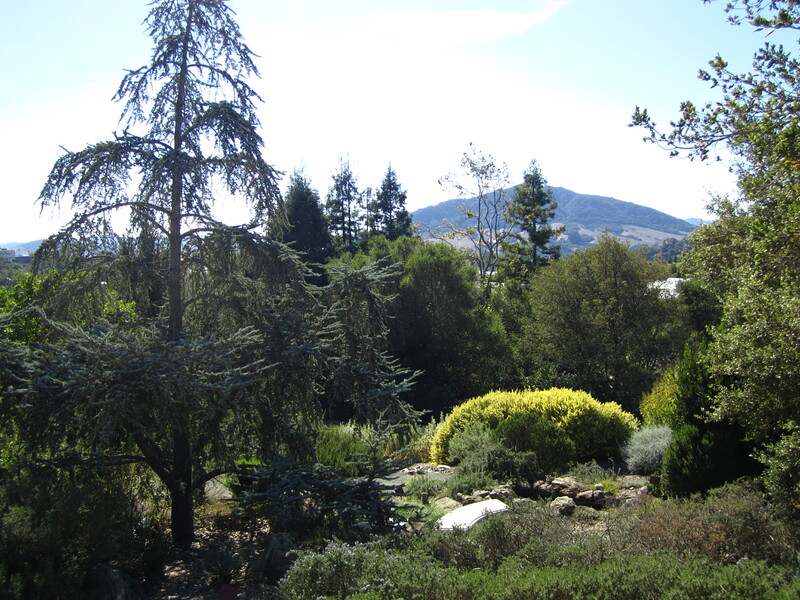 Students are involved in composting, natural pest control, native plants, bio-intensive agriculture and permaculture design. 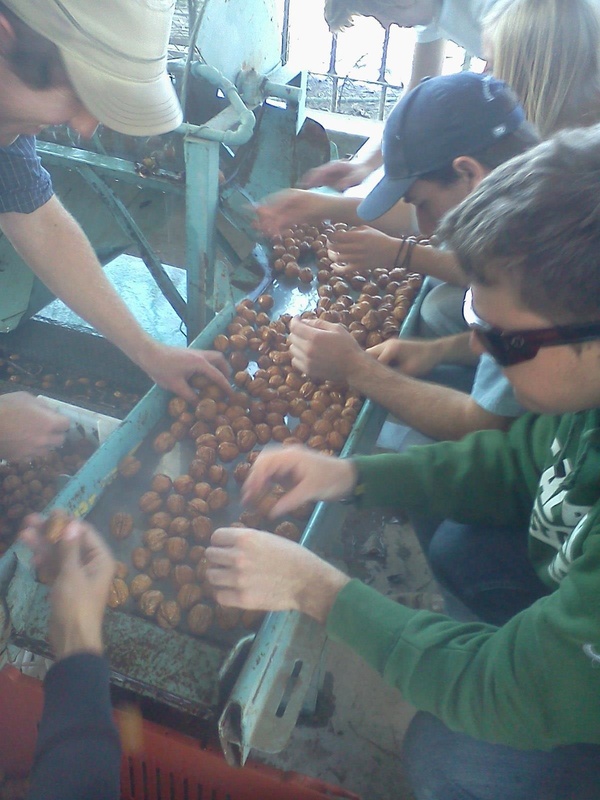 Additionally, students volunteer for work activities. 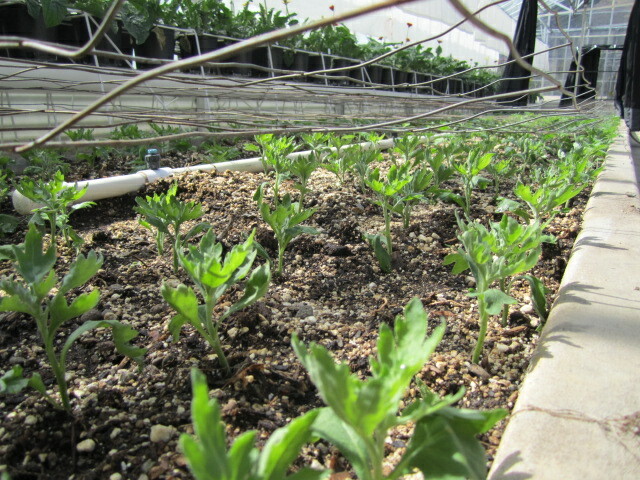 But the current site is too close to other campus activities to be a truly successful and public-accessible organic farm. 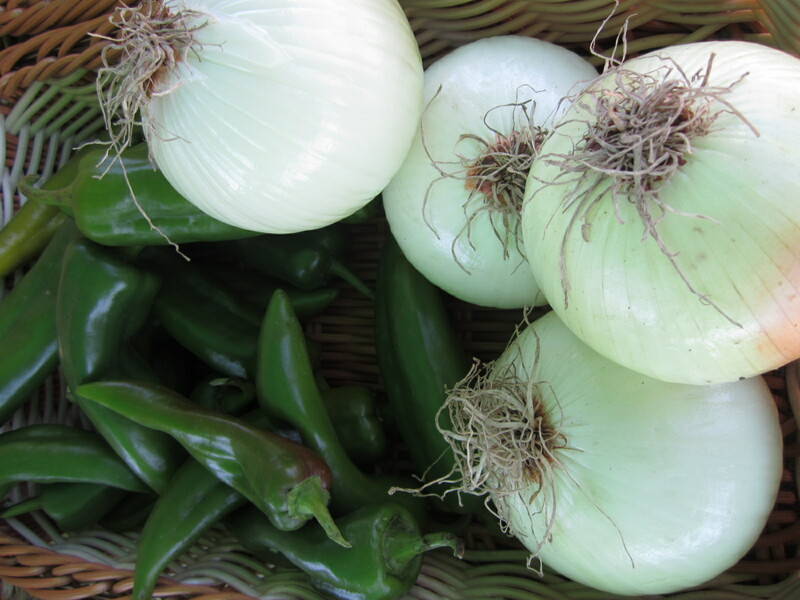 Consumers are driving the demand for more organic and sustainable products. Additionally, there is an increased demand for locally produced products. 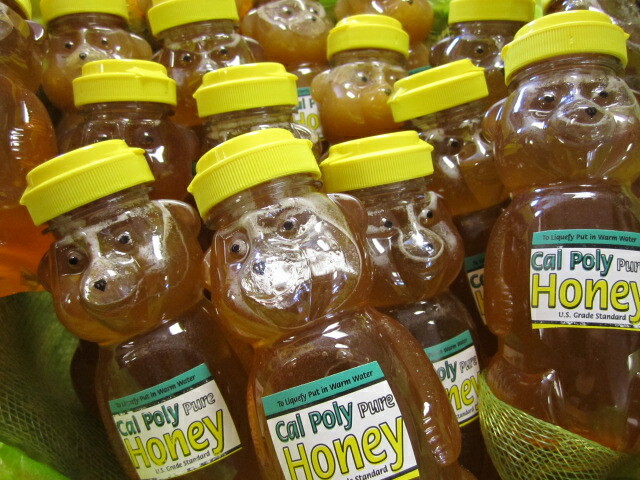 At the new Farmer’s Market and Organic Farm, a visitor might learn about making honey, bottling wine, fruit and nut processing, enjoy an ice cream cone with Cal Poly SLO’s own ice cream, buy flowers and ornamental nursery plants from the Poly Plant Shop, or learn about organic and sustainable (as well as conventional) farming techniques. 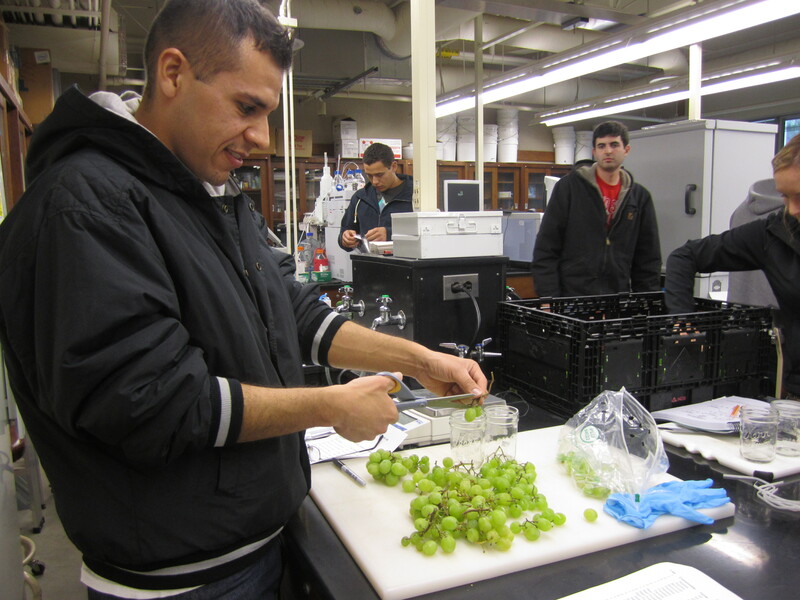 Visitors meet Horticulture and Crop Science students working in the shops, the fields or new labs, studying integrated pest management, viticulture, vegetable production or cleaning and storing equipment. 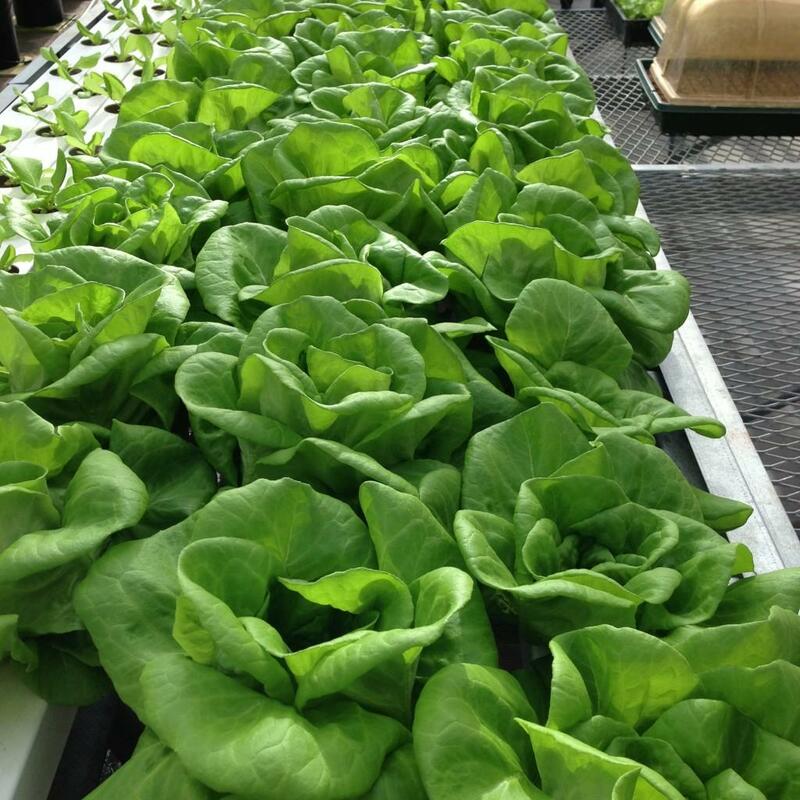 A new greenhouse showcases the latest in hydroponic production, demonstrating how the vegetables for sale at the Farmer’s Market can be grown during the colder seasons. Green roofs cover the new buildings, including a dormatory for four students who oversee the site. 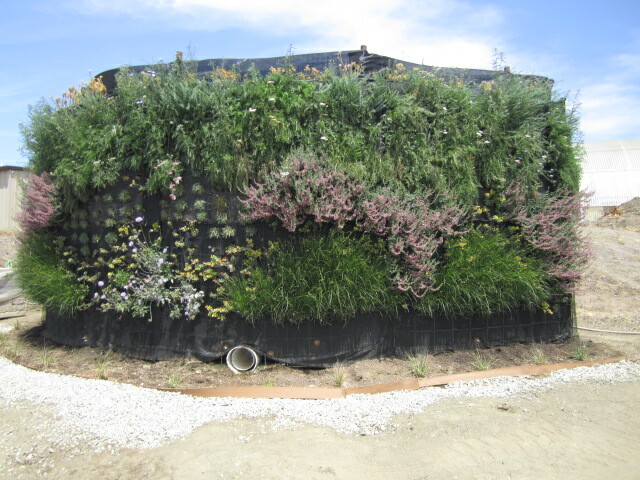 These green roofs are water-wise, and insulate the buildings as well. Fruit and vegetable production fields will be redesigned and relocated to enhance educational and operational efficiencies. New laboratories will incorporate the latest in operational and farm management equipment, particularly related to plant protection and product handling systems. Students have the opportunity to learn cutting-edge techniques in the field through close interaction with instructors. Lab-intensive, hands-on approaches to learning continues to be a top priority for our students. Driving east along Highland Drive and going left on Via Carta toward Poly Canyon Village, Cal Poly SLO’s new dormatories housing 2,700 undergraduate students, visitors come to the Horticulture Unit now transformed with new greenhouses, a visitor’s center and up-to-date classrooms, demonstrating the latest in plant production and floriculture techniques in a unique rural-urban landscape. 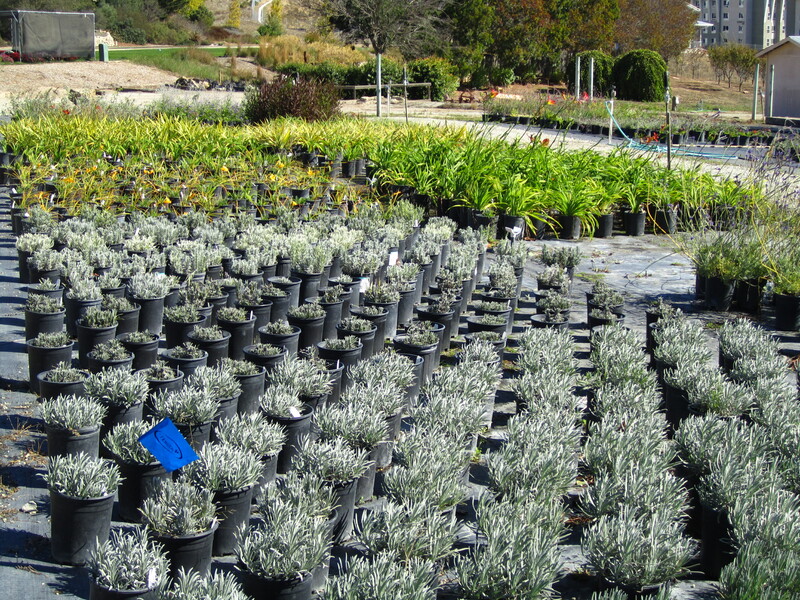 The Amatoscapes at the southern end of the Horticulture Unit invite visitors to the Leaning Pine Arboretum, itself a showcase for water-wise mediterranean plants from Chile, South Africa, Australia, Europe’s Mediterranean Basin, and California natives. Along Drumm Creek, a horse trail borders the demonstration are for native plants where students work on bio-water filtration, propagating native grasses and restoring the creek habitat. The California food, fiber, flower, and forest system continue to change dramatically, being driven by continuing advances in technology, consumer behavior and globalization. 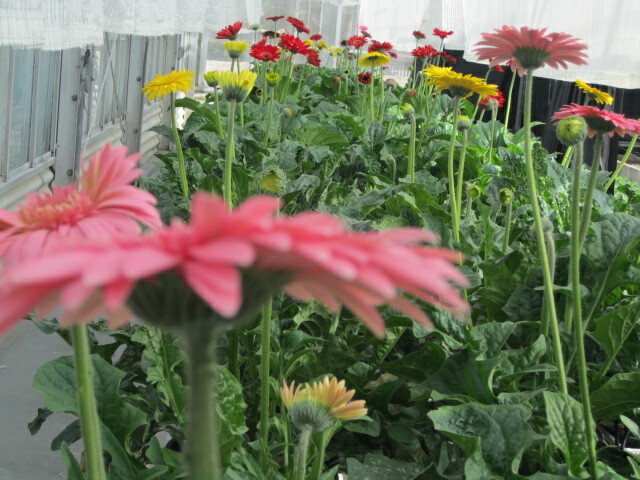 The new Horticultural Science Unit will train students about the production, harvesting, handling, and utilization of ornamental horticulture crops in contemporary methods. Out-dated labs and classroom facilities will be modernized and greenhouse structures will be renovated to demonstrate cutting-edge technologies. Turf and arboriculture areas will be augmented with the high-tech equipment required for training students in this lucrative industry. Here too the green roofs and green walls are evident on the new dormatory and Visitor’s Center, underlining Horticulture and Crop Sciences’ commitment to creating sustainable landscapes and a harmonious relationship with our environment. 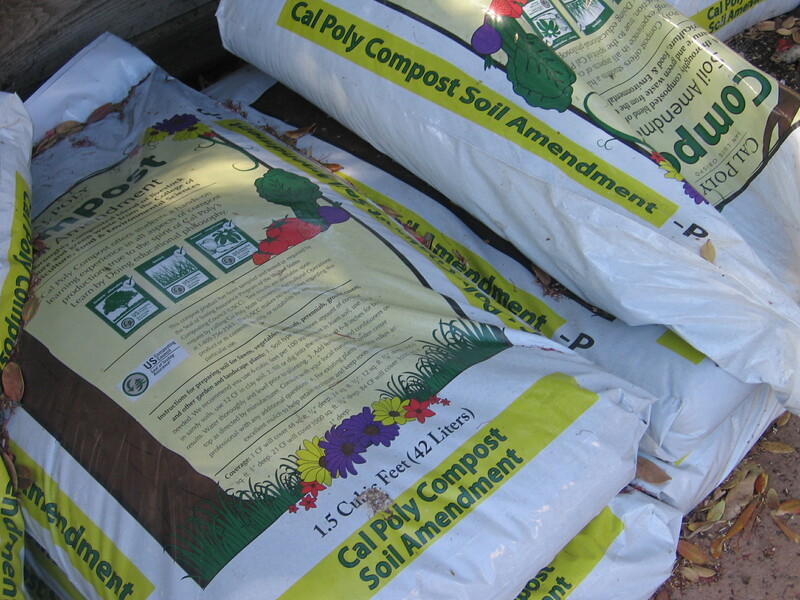 California claims the largest urban agriculture industries in the United States–industries such as landscape, nursery, greenhouse products, golf and recreation. 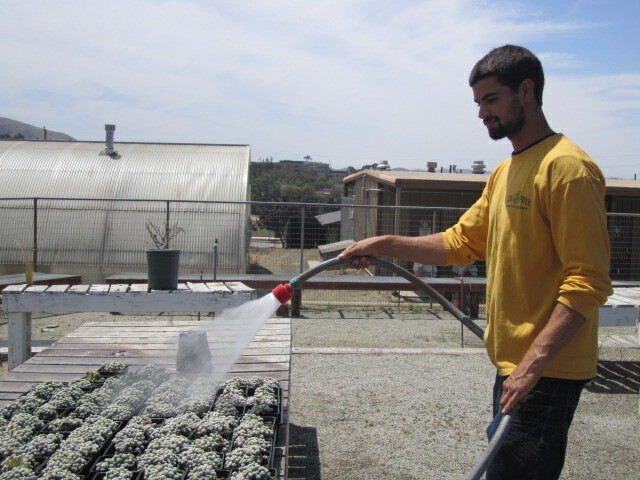 The Horticulture Unit at Cal Poly SLO can offer students tremendous diversity of landscape–both natural and urban–to learn an integrated approach to land-use that addresses the optimum stewardship of the land, natural resources, energy and labor, combined with sustainable economic growth and profitability. This is the model that California’s agriculture, floriculture, and resource professionals will follow. 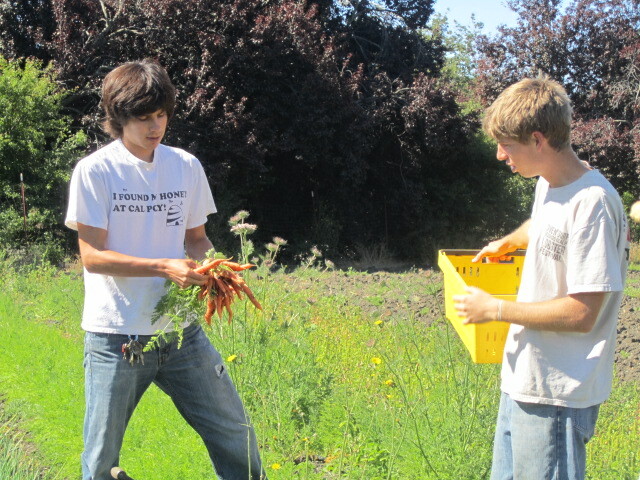 The College of Agriculture, Food, and Environmental Sciences strives to be a leader in providing students with real-world skills based on laboratory and field-intensive curricula, contemporary instructional technology, uncommon access to senior faculty in small class settings, and student enterprise projects. 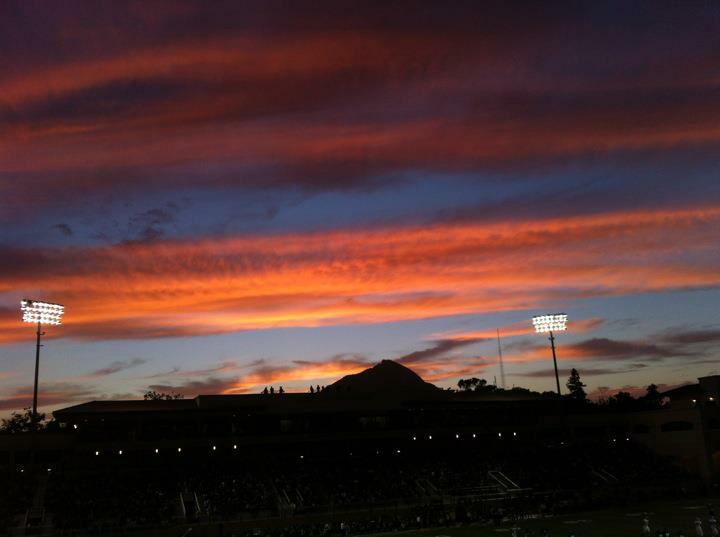 We already know the new millennium is different than Cal Poly SLO’s was over 60 years ago. Skills, such as computer literacy and being technically savvy, are mandatory. The days of strictly domestic production are disappearing, and success on the international level will require an understanding of other cultures and fluency in other languages. Technology keeps increasing the rate of change in our world, and our students have to be flexible, agile, and successful communicators. Senior projects offer students a unique opportunity to Learn. Do. Lead. The opportunities are tremendous on this campus. 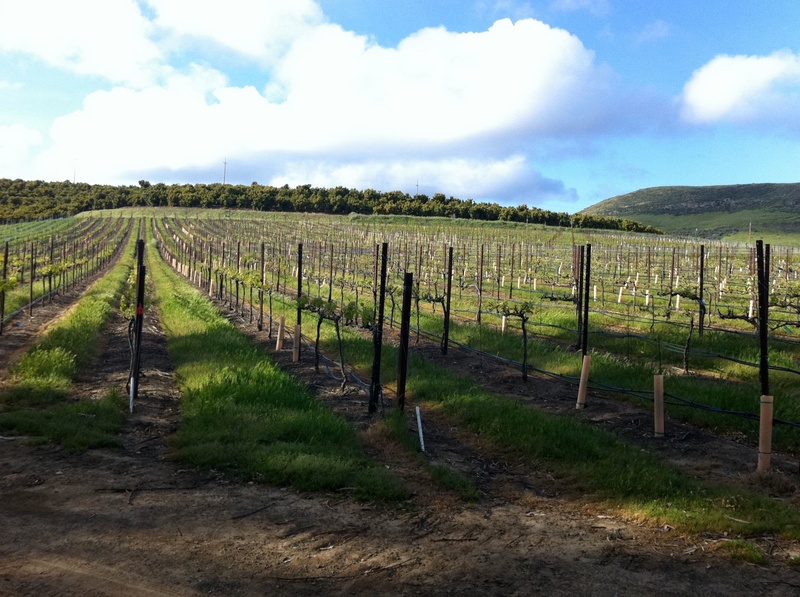 More than 6,000 acres are allocated for agricultural instruction on the campus at San Luis Obispo. There is rangeland for grazing, and more intensively cultivated parcels are used for orchards, vineyards, fruit and nut crops, vegetable production, field crops, agroforestry, and turf management. 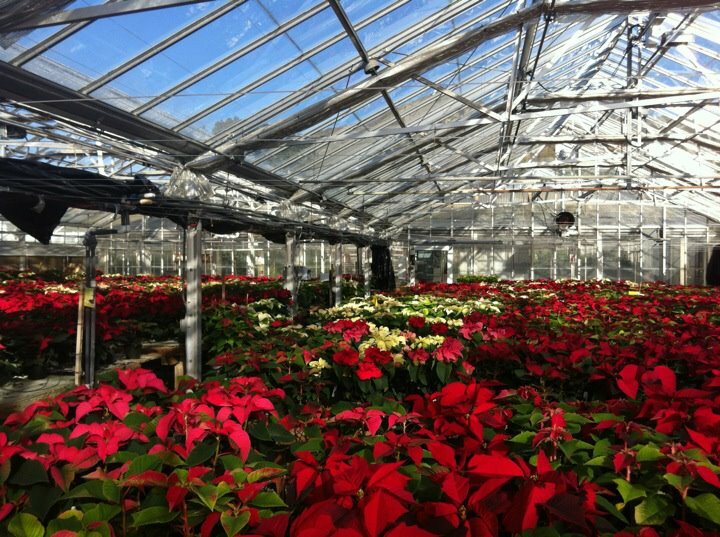 Greenhouses, the Leaning Pine Arboretum, as well as facilities for fruit and vegetable processing are available for production and instructional use. But Horticulture and Crop Science has not been truly modernized since the 1970’s, putting Cal Poly out of step with industry standards. 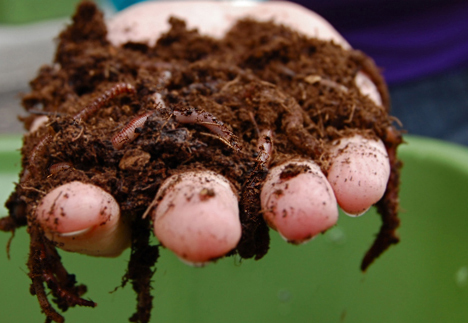 While the worldwide demand for trained men and women in plant bio-technology, integrated pest management, precision farming, post-harvest technology, research and development, consulting, and marketing is growing everyday, the Horticulture and Crop Science Department has more or less stood still. 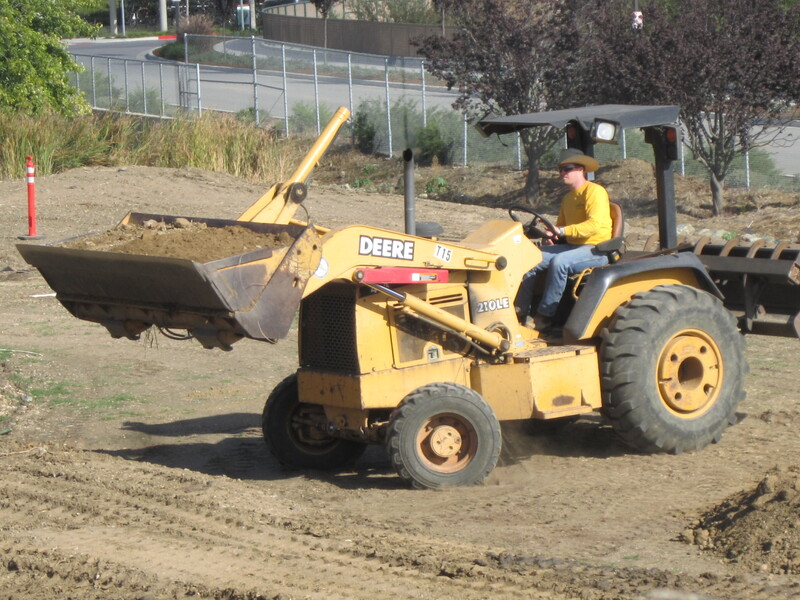 In order to give our students the best education that Cal Poly SLO can offer (and attract new and fresh faculty) we must bring our facilities up-to-date. We estimate that we will need to raise $20 million dollars to do everything we see in our future. 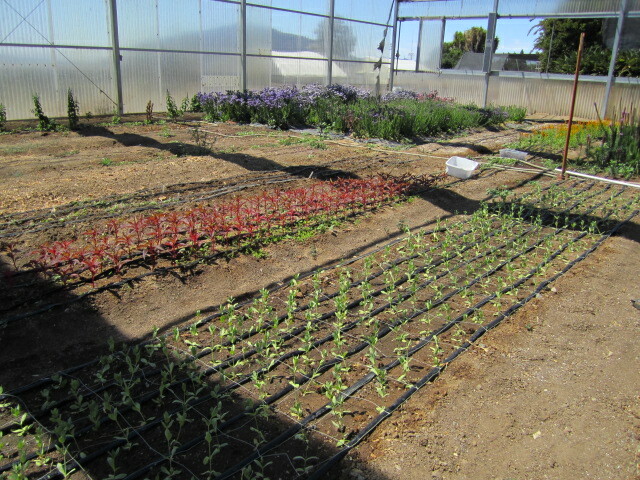 Our immediate goal is to secure $1 million dollars for design and planning of the Horticulture and Crop Science Units. 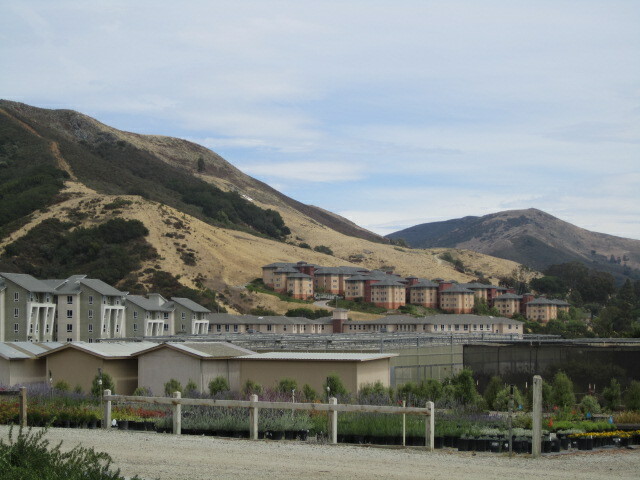 This would include relocating the Organic Farm, changing the circulation and roadway on the site of the new Sustainable Crops Complex, new landscaping along HIghland Drive, garden design and landscaping for the Environmental Horticulture Center and a new entrance to Cal Poly SLO from Santa Rosa. Your gift is the building block that will allow us to incorporate our vision into the curriculum, secure new students and faculty anticipating the latest technology and techniques at Cal Poly SLO, and retain the “Learn by Doing” hallmark on which Cal Poly SLO has built its reputation. Thanks for visiting rightonthedoorstep. 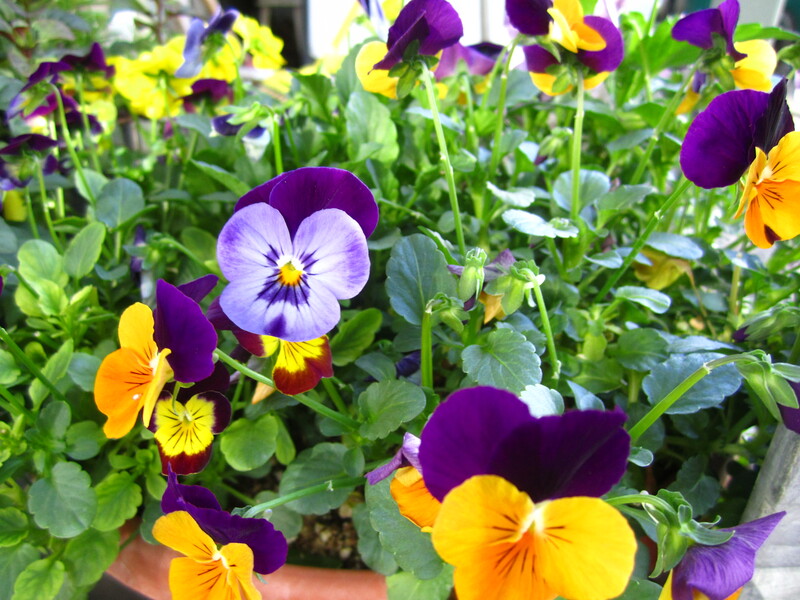 Your site puts my little posts about gardening to shame! Important work you’re doing!! I wish I could start all over again and study what you’re studying.